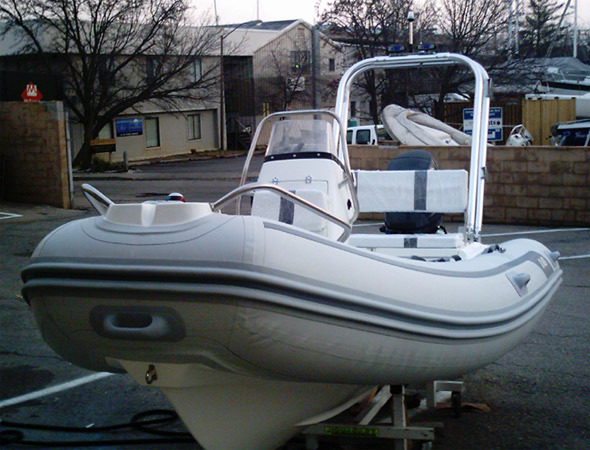 Inflatable boat dealers please contact us for Special "Tower in a Box" dealer package. 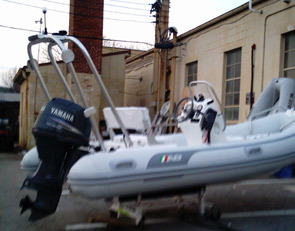 New for 2007! 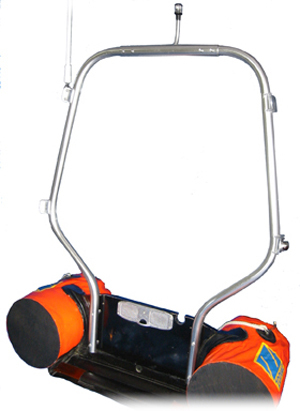 Atlantic Towers has developed a complete line of “Tower in a Box” structures designed specifically for Inflatable Boats, with a transom mounted arch “Roll Bar” and a special leg configuration for the Trampoline T-top. 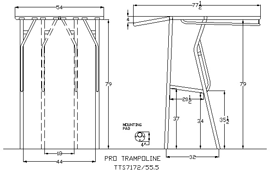 Atlantic Tower's new Transom Mounted Arch for Inflatables features proprietary telescoping design that allows adjustment to fit the transom of nearly any inflatable. 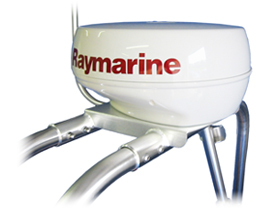 It is built from a high strength welded frame of schedule 40 marine grade aluminum pipe nearly 2" in diameter and is finished in durable salt resistant bright clear anodizing. 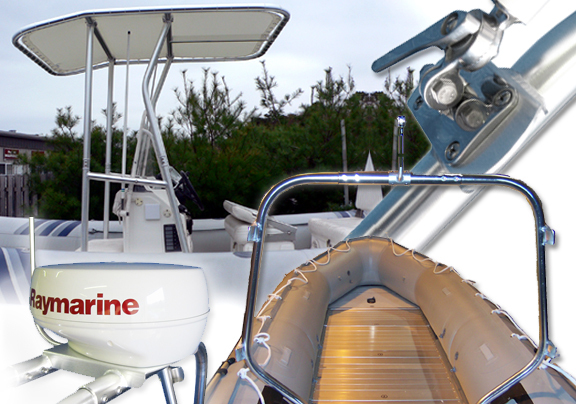 The Inflatable Arch has the appearance and strength of a custom welded unit when installed on your boat and includes four m ounting plates (2 per side) which will accommodate antennas, navigation lights & other gear. 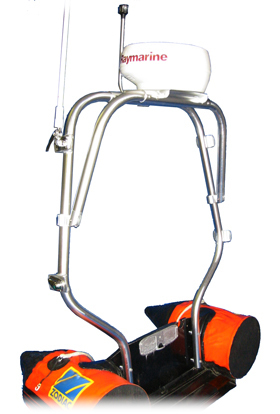 The Single Loop Arch with optional all round white Navigation light allows a complete International Rule installation when combined with red/green side lights (not included.) installed on lower mounts. 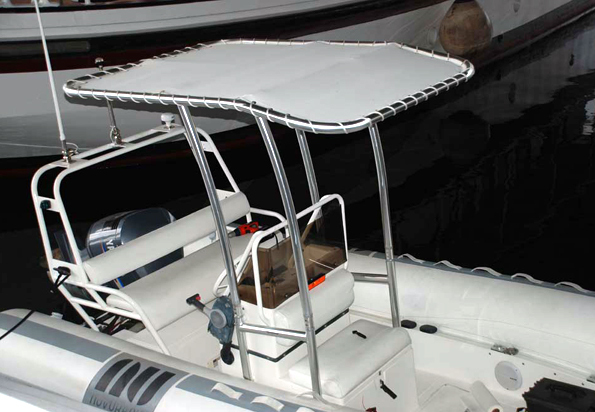 This arch is designed for rigid hull inflatables that have fully molded aft decks. 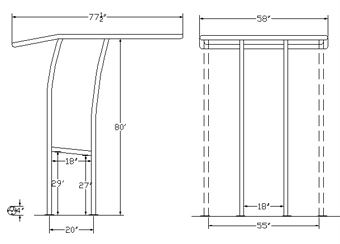 The forward and after loops of the arch adjust for width independently from 40" on center to a maximum of 60". 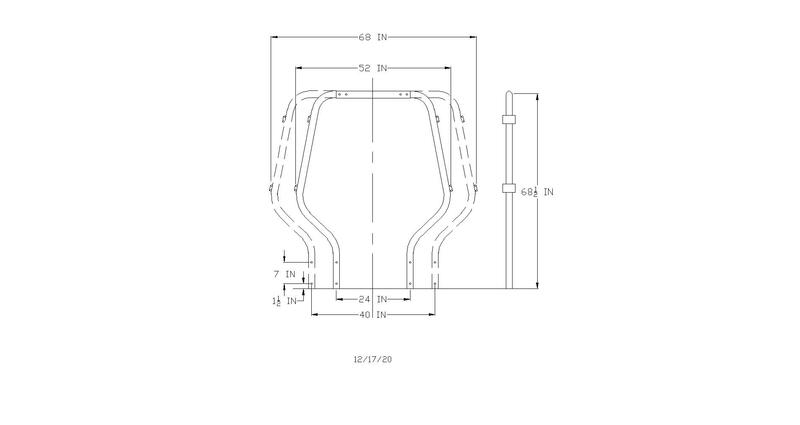 The mounting hardware base footprint is just 2" in diameter and include Delrin leveling wedges to allow easy adjustment of the bases to allow the arch to fold or remove easily with quick release pins . 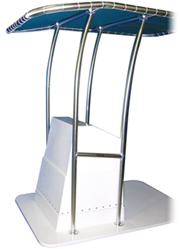 The arch ships complete with all mounting hardware, back up plates, and other materials needed for a complete installation. 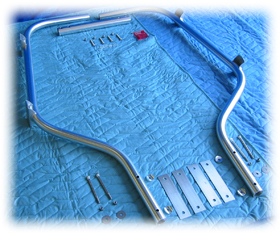 This leg configuration brings the Trampoline T-top Mounting Bases closer in the fore and aft direction to accommodate the smaller consoles on RIBs. 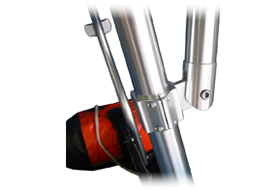 The cross bar is lower as well to facilitate installation. 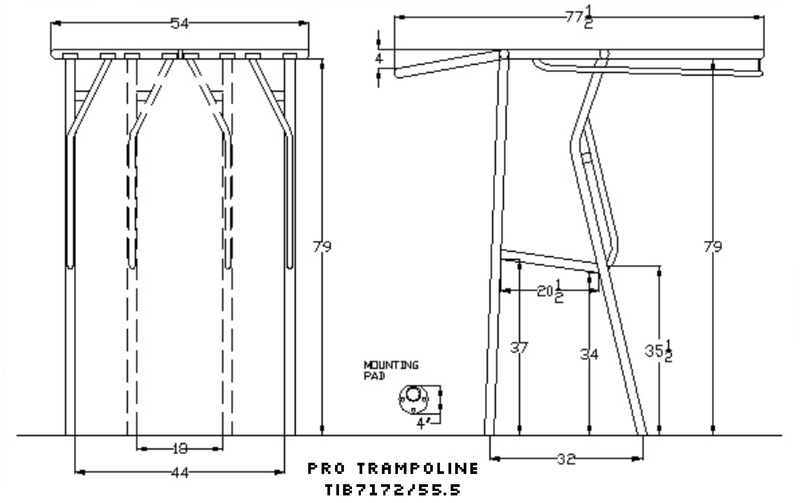 As with all Atlantic Towers Trampoline T-tops the legs are fully adjustable port to starboard. 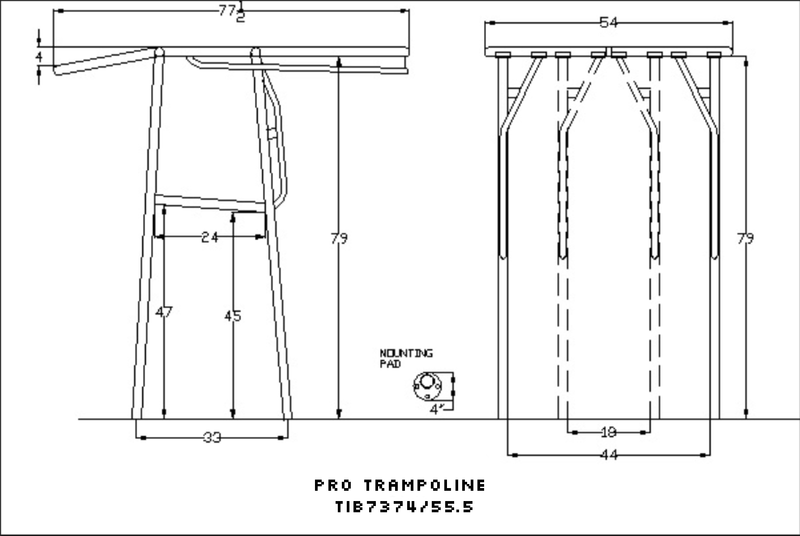 The “lid” of the Trampoline T-top may even be offset to the port or starboard on the supporting legs, to compensate for offset consoles. 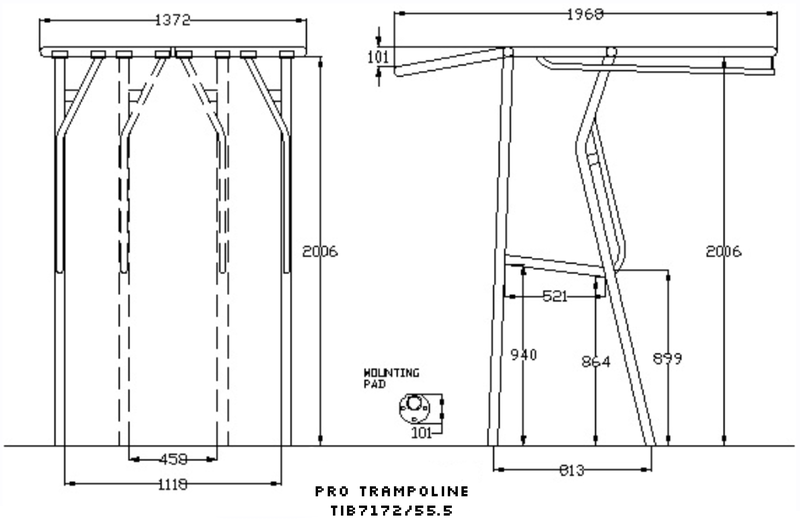 For more Trampoline T-top info, click here. Click image for enlarged view. Click here for metric dimensions. 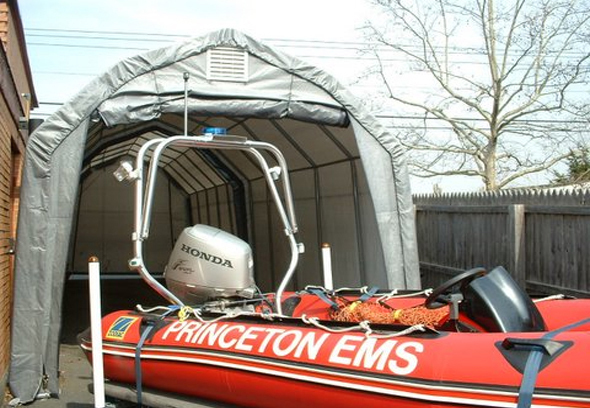 Will the Transom Mounted Arch fit my Inflatable Boat? 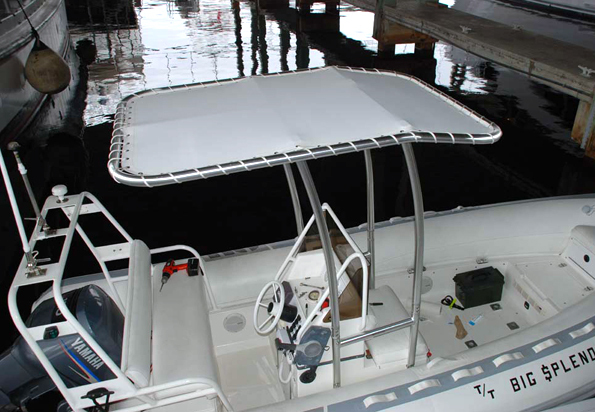 Because of it’s adjustability the Transom Mounted Arch will fit any inflatable with an open transom. 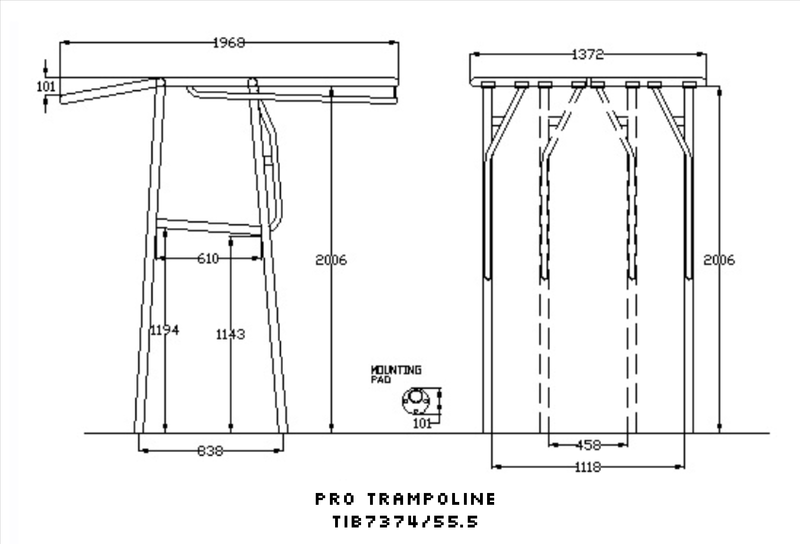 The Transom Mounted Arch can be mounted on the inboard or outboard side of the transom, and requires a clear mounting area of at least 26” wide (see tech drawing). Call us with any questions. Click image on right for enlarged view. 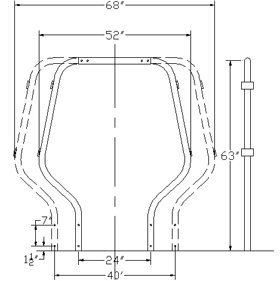 Can I install the Transom Mounted Arch myself? 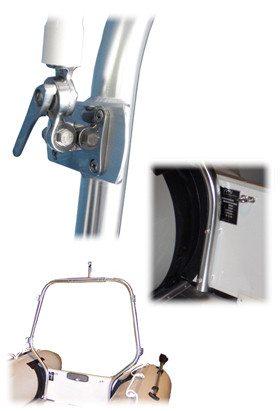 The Transom Mounted Arch was designed for owner installation. Everything needed is included and shipped with your arch. 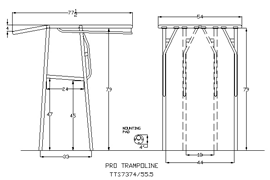 If you are comfortable with hand tools, the “Trampoline” T-top comes with instructions and all the backing plates and hardware required for a thru bolted installation. Four holes are drilled in the transom for the installation. (Don’t want to install the Arch yourself? 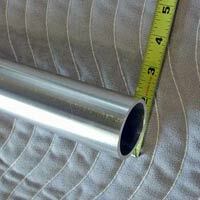 Check our “Services” page for professional installers with whom our customers have had a good experience). 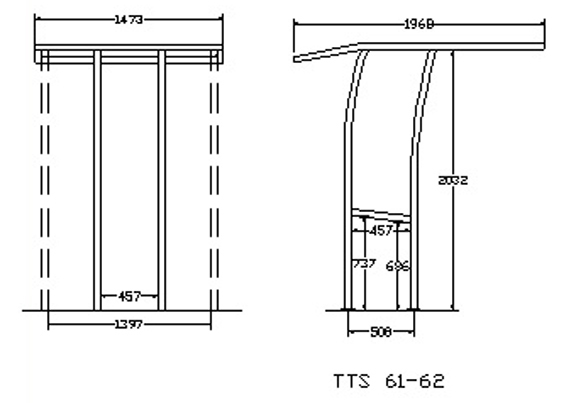 How is the Transom Mounted Arch shipped to me? 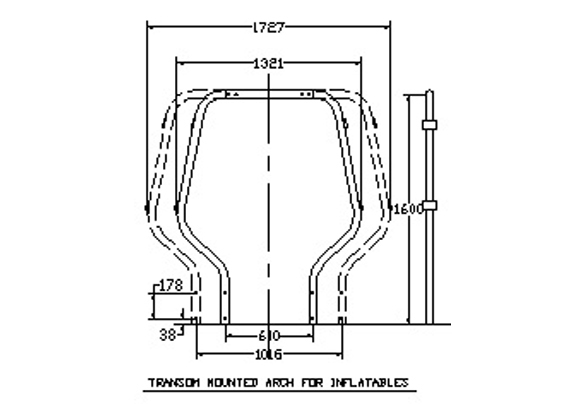 What happens if my Transom Mounted Arch is damaged in shipping? 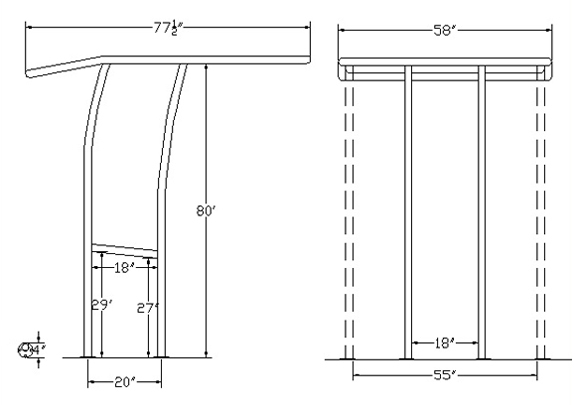 Can I return my Transom Mounted Arch if I decide I don’t want to keep it? 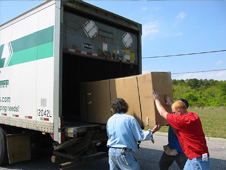 Atlantic will accept the return of any Standard Structure within 30 days of it’s receipt by you. Simply return the Structure in the original packaging in new condition freight pre-paid and we will refund the purchase price less a 10% restocking fee. Is my Transom Mounted Arch guaranteed? How do I get my Transom Mounted Arch? You can purchase a Transom Mounted Arch directly from Atlantic Towers or our authorized reseller partners around the world.